Meaning 'black mountain', Montenegro makes for a great bike holiday due to its very late start in its independence and tourism, its natural beauty, its 117 beaches along the pristine Adriatic Sea, its gorgeous black mountains, and its great medieval city of Kotor. Bike overtop limestone cliffs, dine on exquisite local seafood, wine, and fruit, and cycle to cultural sites few Americans have seen. 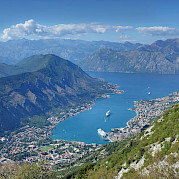 Montenegro is still an undiscovered part of Europe that is rapidly becoming noticed. 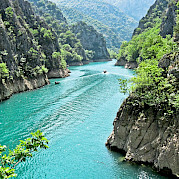 Take advantage of this less expensive part of Europe by cycling Montenegro!